It’s all about birthdays. 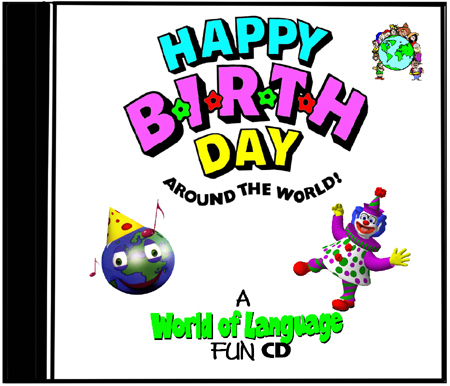 . . sing-along music and fun, history, myths, and traditions around the world, AND learning to say “Happy Birthday” and other phrases in 10 different languages! *Upon purchasing downloadable items, you will receive a second email including downloadable links. Around the World: Happy B-I-R-T-H-Day – Instant Download! “At our neighborhood birthday parties, we don’t sing Happy Birthday To You anymore, we sing HAPPY B-I-R-T-H-Day!” And learn to say Happy Birthday in Spanish, German, French, Italian, Hebrew, Japanese, Polish, Swedish, Hungarian and Russian! How cool is this? ?